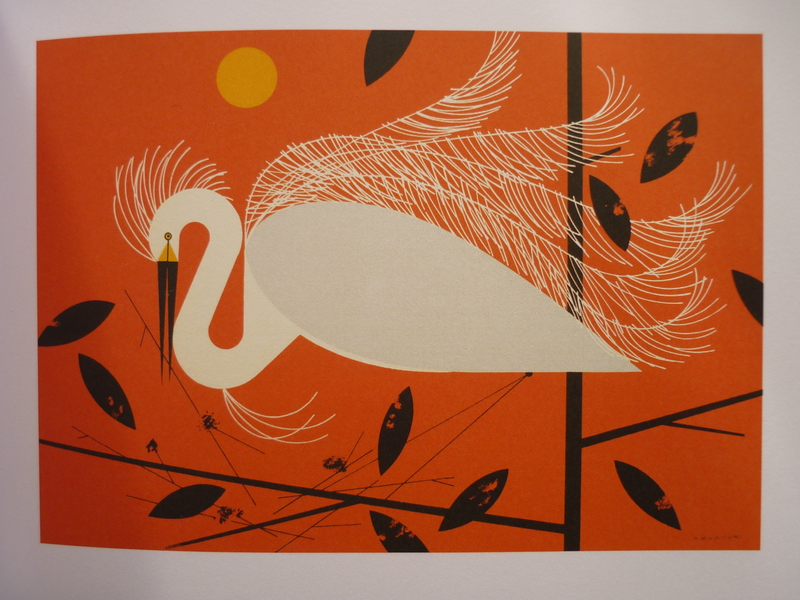 Clean cut lines and bold colure create a beautiful representation of the Snowy Egret. 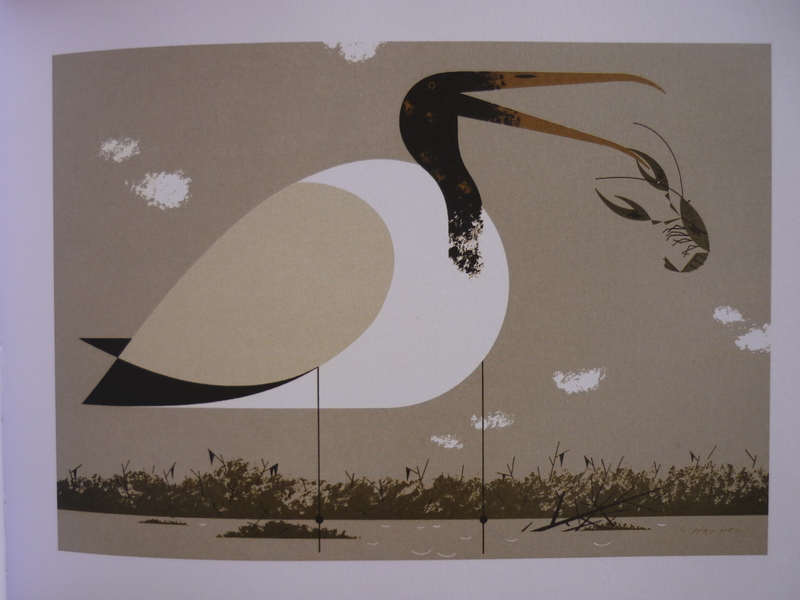 Using bold shapes you still can get a sense of the weight of the bird and the rough scale due to size of the Cray Fish the bird has on its beak. 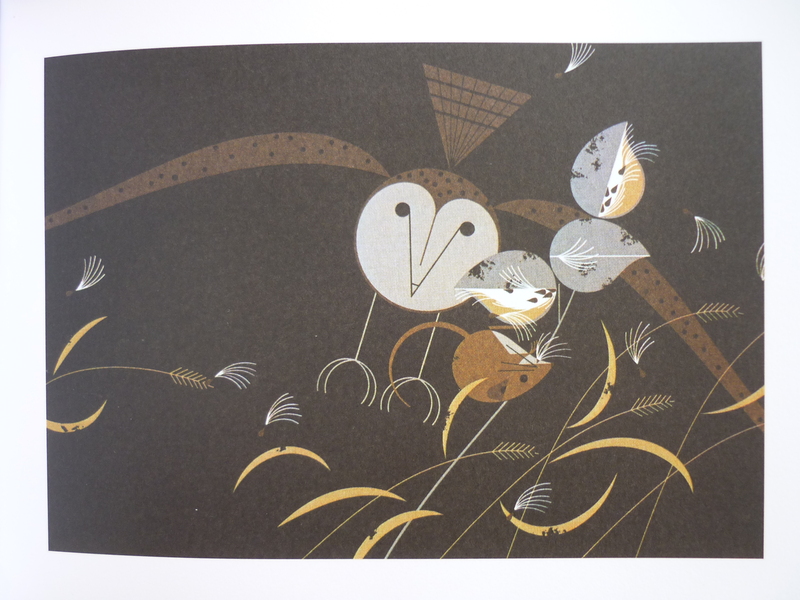 The silk screen has created texture to the feathers where the colour has not come through the screen. I chose this image as I was interested how he represented night, as I tend to illustrate things in the day time and never at night as I find it hard. He has used blues that are dark but are still light, the moon is a pale cream colour and the reflection of still water in the background shows a sense of calmness and tranquility. I love this Owl, the eyes are just as piercing as if they were real. I like how he has just used circles to defines the outer ring of the eye and how it’s staring at you like it’s surprised to see you. 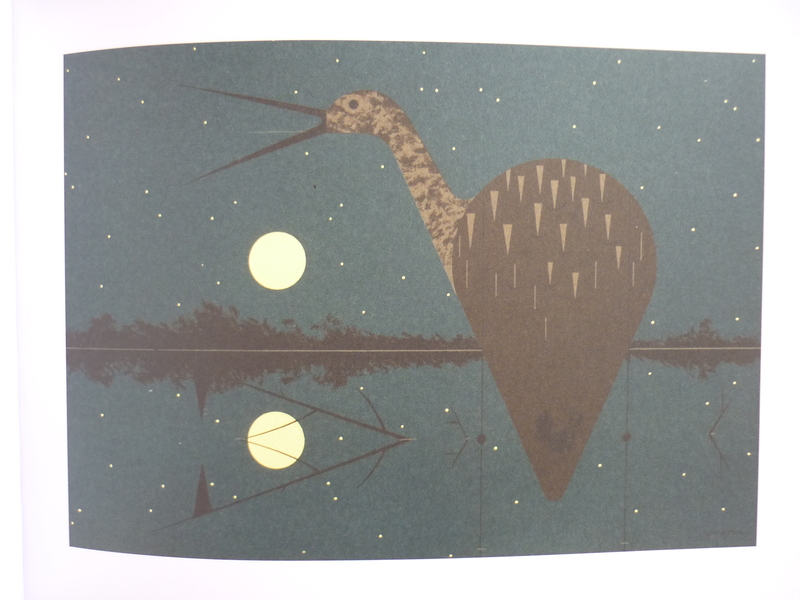 Again another night time scene, but he has nearly used a lighter black but the bird still stands out. The foreground pieces of grass and a harvest mouse creates a sense of depth with the owl swooping in for the kill in the background. 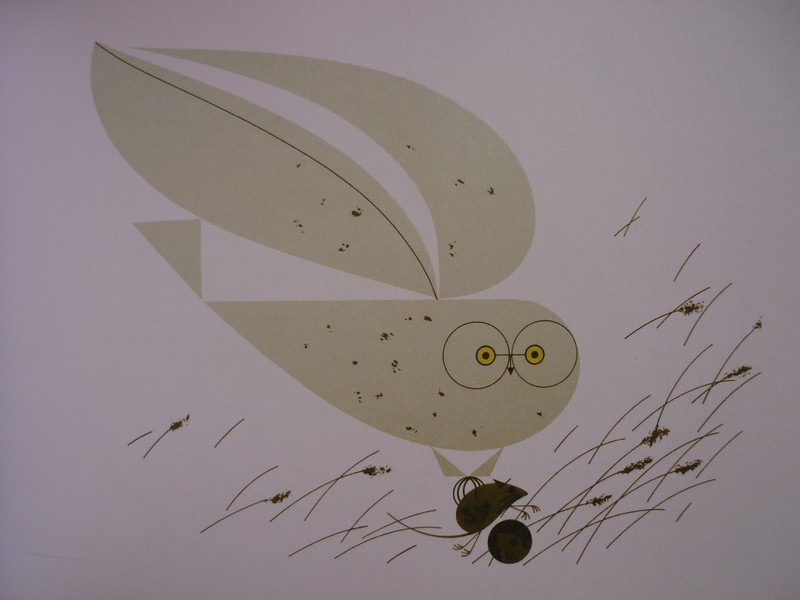 The owl’s face is completely different compared to the other owl, using small circles and lines to define the sharp angles of the face. It doesn’t look so intense yet it still looks like it’s completely focused on getting that mouse. 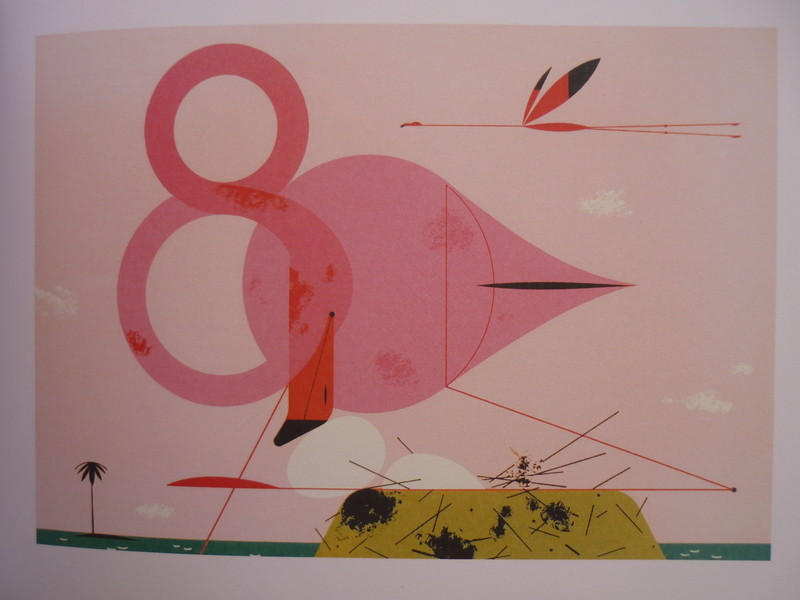 A more colourful scene of the flamingo, the loopy neck creating a figure 8 or eternity sign. The sharp straight angles of the legs and feet creates the sense of the delicate yet gangly nature of this bird. I like the flamingo flying in the background bolt straight flying horizontal , there isn’t much background only sky and a slither of water but it makes you focus on the bird itself. 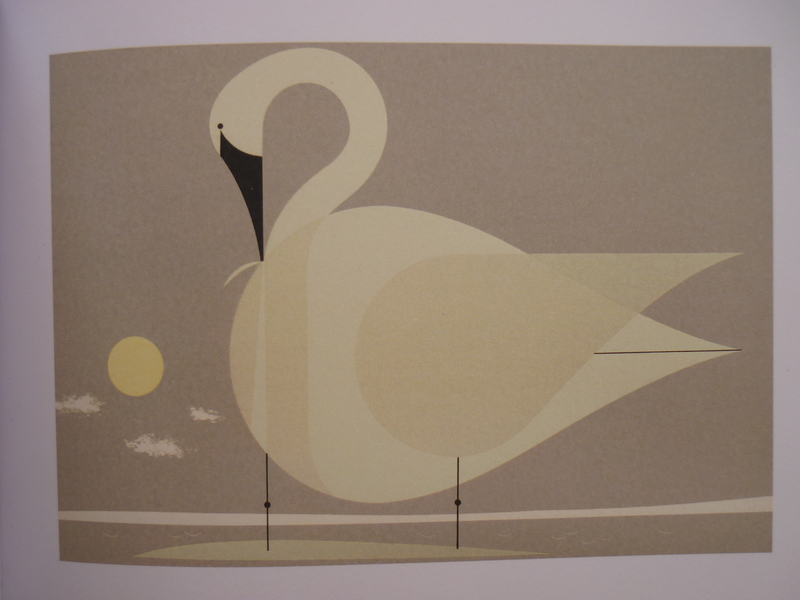 Beautiful swan, this image has clean lines and flowing shapes which you tend to get a sense form the bird itself. The cream body not white which is what I would have probably used, the bird itself preening itself of the round front part of its body. Elegance is a word I would sum it up with. I chose this image not because primarily of the bird but the trees in the background. When creating a forest scene I always think I have to fit in every tree and branch to make it convincing it’s a forrest but then it becomes a dark mush of lines. Here he has only used a few solid blocks suggesting trees and they are getting thinner to suggest the distance of the forrest. The colour is similar to the overall bark of that tree (can’t remember the tree name – silver birch maybe?) With the bird placed in the foreground eating the berry, I find the scene create a sense of stillness. The bird is the only thing that is making a noise in the quiet forrest. Whilst reading the intro to the book Harper tried work from seeing the genuine birds by stumbling over marshes and rocks until he finally got to his destination and scared all the birds off. This is when he turned to a bird guide illustrated by Don Eckelberry where I quote ‘it had all the info ration I needed and the birds didn’t move‘ (Pg. 9) Which I found hilarious because throughout my education they said that going to see the actual topic is better because you will get a more realistic drawing but here is Harper making his work from a book! It doesn’t give me the excuse to say that now I can just draw from books because being on site is just as important but I will now not worry as much if I have used a picture to reference from. From looking at this book I think I have learnt a lot, some things I can’t describe in words it’s just a feeling or sense of knowing but I now know that I can simplify images down and they still can shows a great sense of realism and elegance. They can show the same atmosphere and retain the same amount of information as a detailed image. I may try this when exploring my image making because I always feel like I have to add more detail in my work, but maybe I should try the opposite way and go more simplistic, it might or might not work but it’s worth ago! 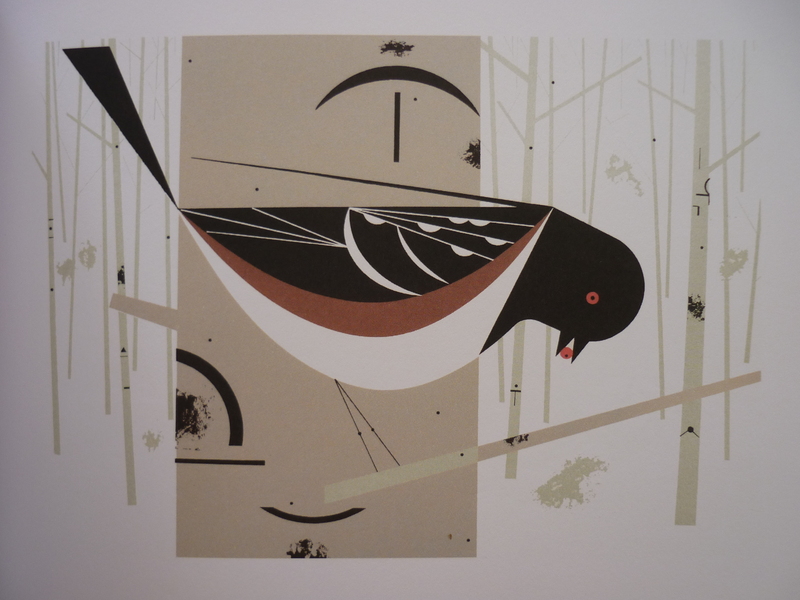 Harper, C., 2008, Charles Harper’s Birds and Words. UK: Ammo. 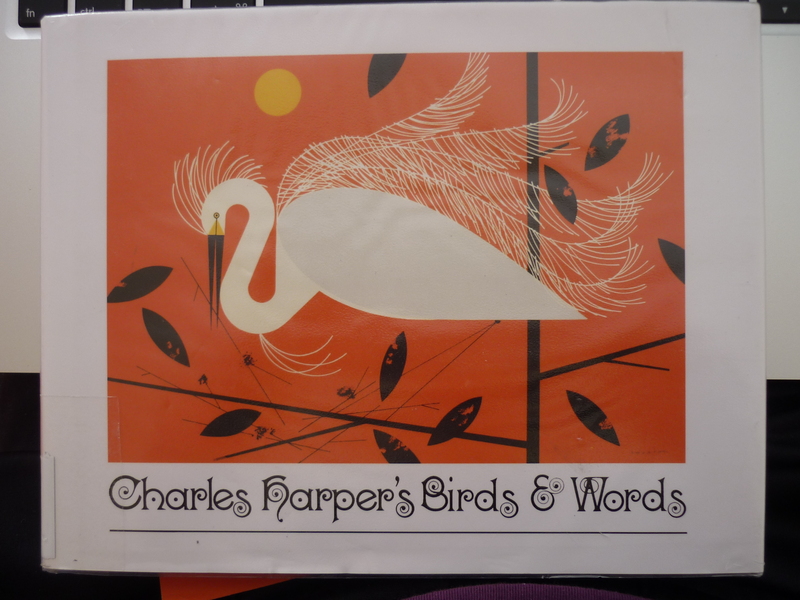 This entry was posted in Charles Harper's Birds and Words - review.